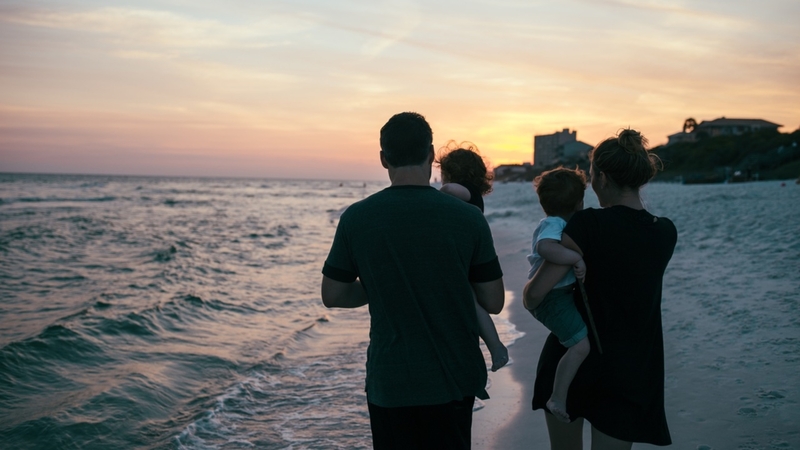 Parents are investing more and more time into their children’s development, Alia Wong points out in the beginning of her recent article on The Atlantic: The American Obsession with Parenting. Wong points to several studies showing that this is quantitatively true, and I think we all know in our gut that there is an intensity around raising children these days. With the internet, we no longer parent in a bubble of a local community, oriented around the extended family. We constantly see the best of other peoples’ children: their delightful manners, their A+ report cards, their quirky sense of humor, their milestones and accomplishments. And there are innumerable people sharing online how you, too, can raise a bright, funny, polite child who is going to change the world. Yes, we are obsessed with parenting. With how other people are doing it, with how we are doing it, and with how we can do it better. But is it ok that we focus so much of our time and energy working out how to raise our kids? Ahead of her time, Charlotte Mason, writing in the very early 1900s, predicted that as women gained more education, they would come to treat the education of their children (up to age six) as a professional job. While Miss Mason envisioned mothers at home with their children, the fact remains that parents are spending more time with their children than ever before, even while holding down jobs outside of the home. This isn’t necessarily bad. Miss Mason saw the increased interest in our children’s development as the natural course of things. As we learn more about the influence we, as parents, have on our children, we do what we can to use that influence positively. This is the phenomenon Wong discusses in her piece for The Atlantic. Parents across the socioeconomic spectrum have learned the immense value of reading with our children, giving them access to books, and talking about the alphabet. Accordingly, parents are reading with their children more, giving them more books, and having more conversations about letters. It is right that we think about how we, as parents, can encourage our kids’ development. We care about our kids, and want them to have successful, fulfilling futures. Is this obsession? I think it may simply be love. And love is something all children need in abundance. While Miss Mason felt that parental concern and involvement with their children’s education is natural and good, she also saw that most mothers (which the 21st century me reads as ‘parents’) didn’t have a solid working framework to guide them in their parenting. “That the mother may know what she is about, may come thoroughly furnished to her work, she should have something more than a hearsay acquaintance with the theory of education, and with those conditions of the child’s nature upon which such theory rests.” (Charlotte Mason, Home Education). What a child is. A cog in the machine of society? An empty vessel to fill up with knowledge? Or a whole person to be nurtured? What the purpose of education is. To give a child what he needs to be ‘successful’ in society? Or to feed a child’s mind on what is wholesome and delightful? Educational theory isn’t just for philosophers and academics. It is a useful, practical tool for parents, that can help us keep our obsession with our kids in check. It can tell us that, ‘no, the most important thing is not reading or writing or doing math’. It reminds us that our goal should be feeding our kids’ minds the way we do their stomachs: with nourishing, enticing food that will help them grow. And perhaps most importantly, it gives us something to measure ourselves against that isn’t another person. Parenting can stealthily become competitive rather than compassionate, desperate rather than delightful. And, consequently, the children suffer mentally and emotionally, sometimes cracking under the pressure to do better and accomplish more. We need more than a hodge-podge of ideas we try because ‘It says it will make my kid brilliant’ or ‘It’s what this blogger suggested’ or ‘I saw this on a pin on Pinterest’. I love my kids. I know you do, too, and it isn’t bad that we are, in fact, all a little obsessed with them. But to do right by our kids, and to do what is best for them, we need to take some time to think about the bigger picture. What is the purpose of education? Are children born persons, or not? Getting to grips with these bigger questions will simplify and focus our parenting. And that is definitely a good thing.